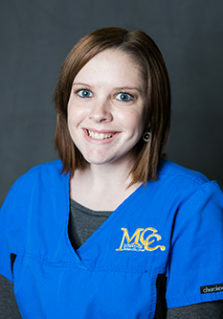 My name is Erin Harrison and I serve as a Medical Assistant at MCC Internal Medicine. I was born and raised in Thomaston, GA. I have been married to my husband Cole for over two years and we have three little fur babies. My favorite things to do are read and watch scary movies! I decided to go to school to become a radiologist technologist because I have always loved helping people. Most insurance plans are accepted. To make sure we accept your specific insurance plan, please contact your insurance carrier and our office prior to your appointment. Our Mission is to be good people who serve our patients and have a positive influence on all who come into contact with MCC INTERNAL MEDICINE.